Tillandsia Aerium in Gibsons BC - Gibsons Florist, Ltd. So you don't have a "green thumb". No problem. 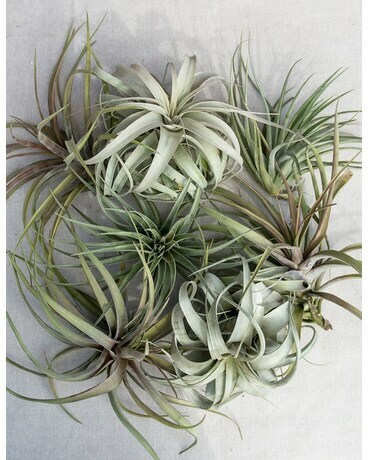 Join the airplant revolution! Tillandsia bowls and baskets are the perfect gift, designed with a variety of species accented with driftwood, bark and beach rock. Comes with care instructions.